One of my favourite times of the year is creeping ever closer, yup Spring and more importantly Easter is just around the corner and I literally cant wait! I mean whats not to love - flowers in bloom, fresh sunny days, some warmth oh and a month to celebrate all things Chocolate he he. This Easter Cadbury's have brought back some old favourites and have also launched an egg-cellent new range which is sure to go down an absolute treat, whether your buying for a friend or loved one or you just need supplies for the kids Easter Egg hunt Cadbury's have got you covered! 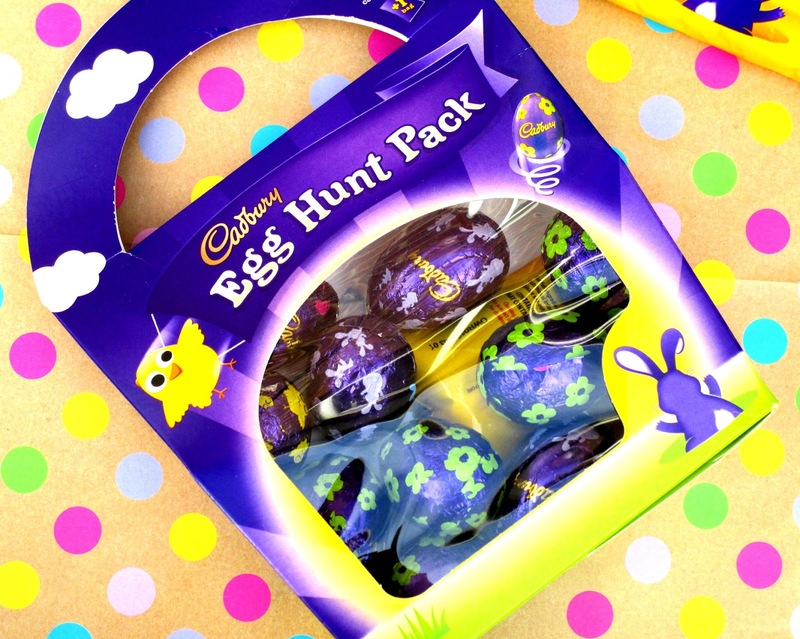 One of the new editions I was excited about is the Mini Eggs 'Egg Hunt' Treat-Size 8 Pack (RRP £4.09), oh my I LOVE Mini Eggs so much and eat packets of them over Easter, but what I love about the new treat-size packs is that firstly you can ration the amount you eat so your not scoffing too much chocolate at once, but their also the perfect size for Easter Egg hunts, it's just not Easter without them is it. 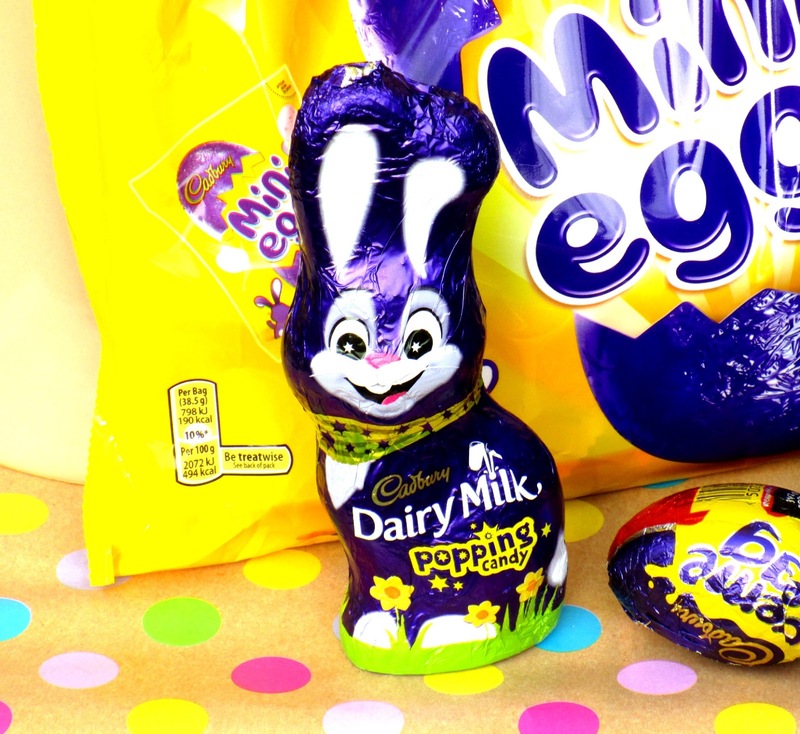 Cadbury's have also made a change to their iconic hollow Dairy Milk Bunny (RRP £1.49) by adding popping candy for those wanting a unique taste experience, personally I find the popping candy on my tongue oddly satisfying he he. Of course the plain versions are still available too in a variation of sizes! Another new yummy treat is the Cadbury Dairy Milk Egg'N'Spoon Oreo (RRP £3.99) these are super yummy and I actually like having them as an after dinner dessert. All you do is crack open the smooth Cadbury Dairy Milk chocolate shell to reveal a deliciously light and fluffy chocolate mousse in the centre with crunchy Oreo pieces within it, you even get two spoons too, how cute! For those of you who are having an Easter Egg hunt Cadbury's have the perfect little Egg Hunt Pack (RRP £4.09), each pack contains 10 hollow Cadbury's chocolate eggs and a packet of Cadbury's Mini Eggs that can be given to the winner of the egg hunt, how cute! 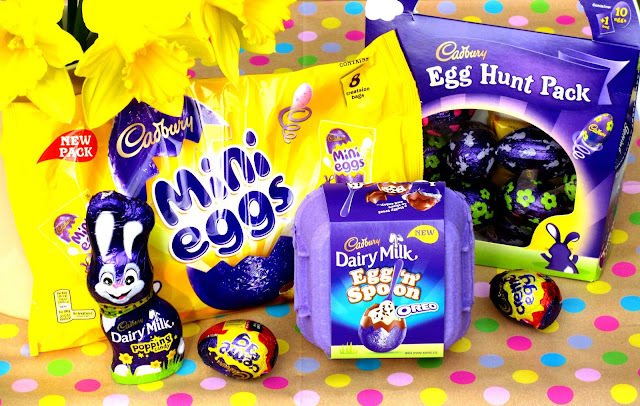 Whats your favourite chocolaty Easter treat beaut's? I'd love to know! 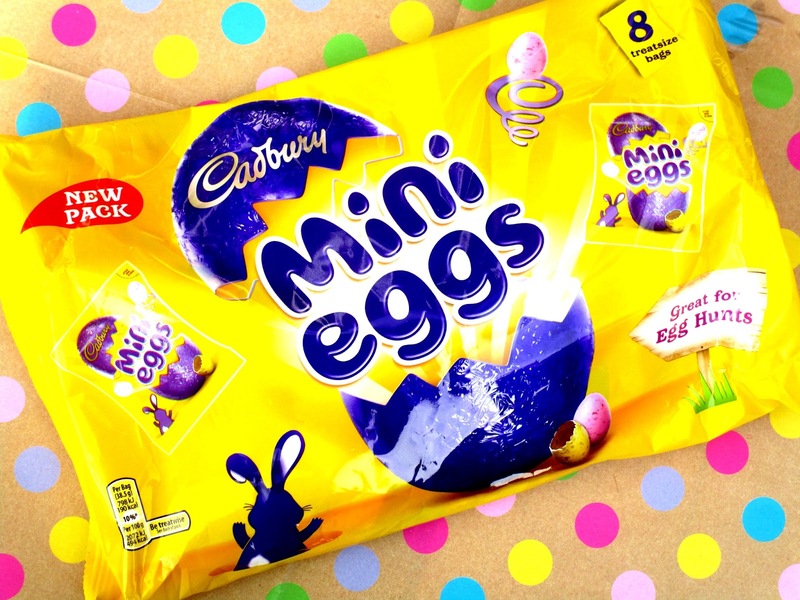 The small packs of mini eggs are such a good idea as like you, I can't stop myself eating a bag either. To be honest i'm sure having one of these small bags would feel just like eating a big bag anyway! I like anything Cadbury but tend to only stick to items that say Cadbury Dairy Milk rather than just Cadbury as the chocolate is slightly different. mini eggs are my absolute favourite thing about spring time, i stock up every year! 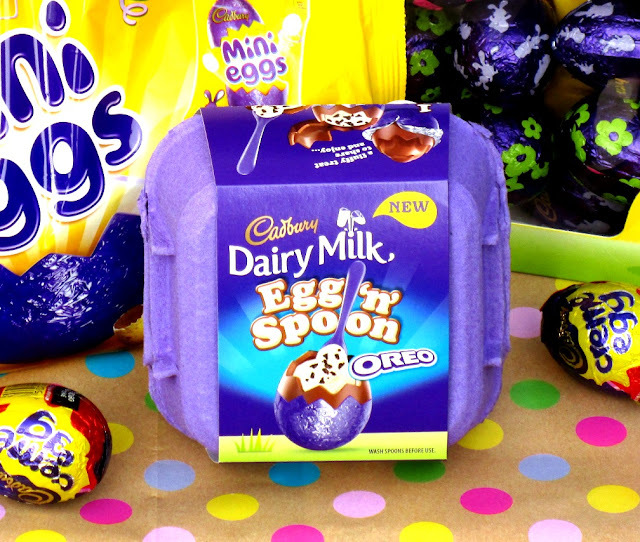 I am desperate to try the Oreo eggs. Have you seen the American version on Instagram?